Steins;Gate focuses on mad scientist Rintarou Okabe who rents out a room in Akihabara, he begins by inventing gadgets with his fellow lab members, until the stumbles upon what he names the “Phone Microwave” which has the ability to send emails to the past and thus altering the flow of history itself, and Rintarou is the only one who can remember. The adventure begins when he goes to the past for the first time, although he doesn’t notice much, it all begins to pile up until something he cannot handle. 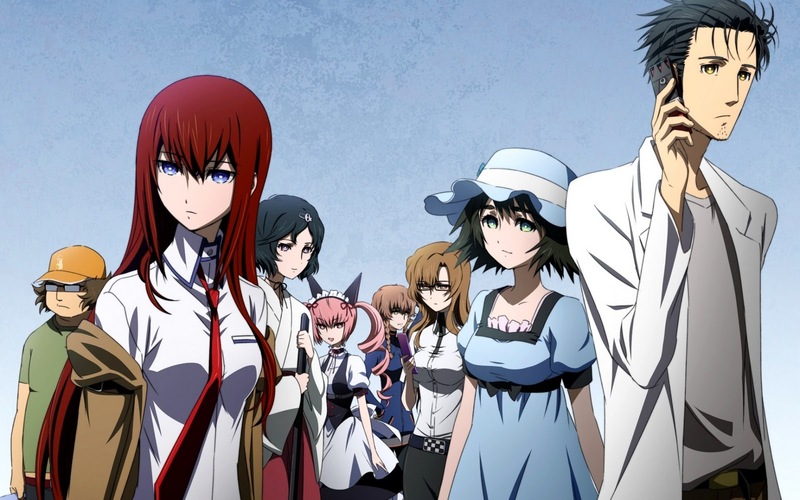 Steins;Gate itself first aired in 2011, which makes it an old anime, however, the basis that it’s a very popular in its story and characters is unbelievably well done. Nevertheless, if you’ve already watched it, without spoiling a lot of it, lets talk in the comment section below. Haha honest to God, its on my list to finish. I’ve watched like half way through, and the timelines are really complex if you don’t concentrate on what’s happening. I’ve heard some really good things about it, I just need to finish it whenever I get time, which I have lots of at the moment. They definitely are complex. I know the beginning is very slow, but it kicks in really fast and it gets intense. This series was just amazing. The plot really picks up in the second half but the first half allows us to get to know the characters before the plot gets going. Great premise, great story and very memorable characters. And the English dub is among the all time great dubs in my opinion. A great example of anime at it’s finest. Just got a copy of the visual novel and am looking forward to checking it out. Totally agree, there needs to be more of these types of shows. Sunite, here’s a suggestion for an review. How about Parasyte? Ohhh I’ve started Parasyte, again, I’ve not been able to finish the series. Seems like a great anime show. Would you like to do a review? Like a guest post review? I’ll let you know if I have the time. Currently I don’t right now. I know exactly what you’re going through. It was one of the anime that hit me the hardest. I’ll back away now to let you reflect on its EVERYTHING for weeks to come.